Successfully Added Preorder Bluboo Picasso Smartphone - Android 6.0, Quad-Core CPU, 5 Inch Display, Dual-IMEI, Artistic Design, 2800mAh (Blue) to your Shopping Cart. This Product is a Pre-Order Product that is expected to be shipped on the 17th of November 2016. Do not order with other products. This is a Pre-Order product and as such the weight, dimensions and specifications of this product could be subject to change. We will update the listing when the product is received in stock. As the name of this magnificent smartphone suggests, the Bluboo Picasso is a true masterpiece. By combining art and technology this smartphone features an extraordinary diamond structure design, giving it a stunning look like no other. Crafted out of a metal alloy frame that has been covered by a polycarbonate material this Android phone holds an elegant look that is guaranteed to turn some heads. Simplicity lies at the center of the artistic design of this smartphone as it features no physical buttons at the front end of the device – providing you with an extremely smooth, simple, yet beautifully crafted smartphone. Besides its artistic design, this Chinese smartphone holds a beautiful 5 Inch HD display that surely does grab your attention. Featuring almost no side bezels this smartphone has an 80% screen to body ratio, thus providing you with a massive HD screen on which to enjoy all your favorite media. With 16GB of internal storage and the possibility to add a staggering 256GB of external memory guarantees that, when using this Android phone, there will always be enough space for you to save all your files and media. Running on an Android 6.0 operating system the Bluboo Picasso allows you to enjoy the latest industry features along with a smooth and ultra-fast user experience. With its Quad-core CPU that has been clocked at 1GHz along with 2GB of RAM this Android phone is well capable of getting you smoothly trough your daily activities no matter how demanding. Additionally, its Mali-T720 Graphics Unit allows you to play games and enjoy movies in stunning detail and color – further enhancing your mobile entertainment experience. 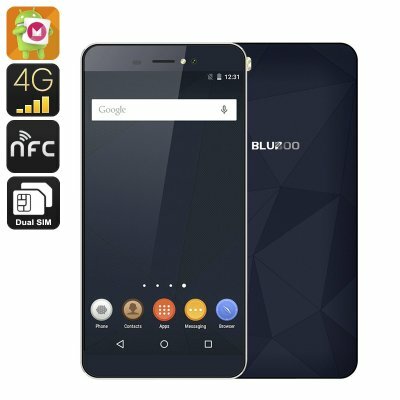 So whether you like to play the latest online games, watch an HD movie, or simply browse the web – the Bluboo Picasso along with its top-notch specs is guaranteed to deliver a lag-free and ultimate smatphone experience. With 4G connectivity this Android phone lets you enjoy the fastest mobile data speeds out there. Browse the web at lightning speeds and stay in contact with friends and family online – with this smartphone you can enjoy the web and share files online without encountering any delay. Thanks to its epic 2800mAh battery you will now be able to enjoy 5 hours of continuous usage time, providing you with enough time to enjoy all the features your phone has to offer such as its high-end intergraded cameras. Designed to stay in contact with friends and family the Bluboo Picasso features a stunningly sharp 5MP front camera. Thanks to the latest fill-light technology this camera is capable of shooting bright and sharp images even in dark environments – allowing you to snap perfect selfies or to video call with friends and family online. The Bluboo Picasso comes with a 12 months warranty, brought to you by the leader in Android phones as well as wholesale electronic gadgets..